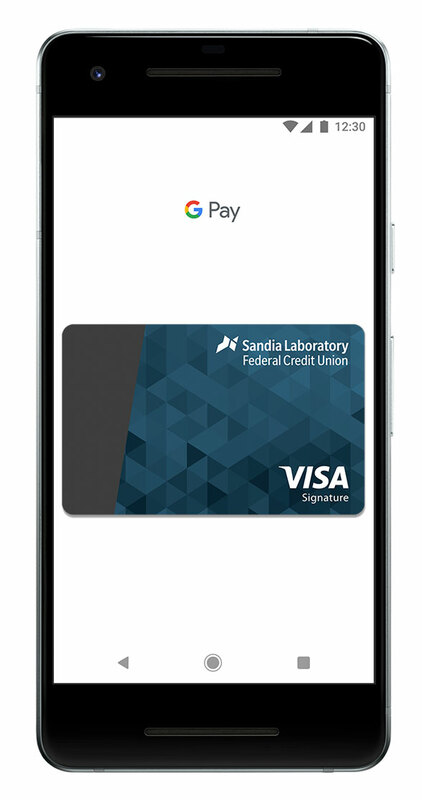 Using your SLFCU Visa Signature® or Visa Platinum® credit card with Google Pay is the fast, simple way to pay with Google. It brings together everything you need at checkout and keeps your payment information safe in your Google Account until you’re ready to pay. Plus, Google Pay makes it easy to keep track of purchases, redeem loyalty points, and get personalized suggestions to help you save time and money. Adding your SLFCU Visa Signature or Visa Platinum credit card to Google Pay takes just a few minutes. First, download the app from Google Play or check to see if it’s already installed on your phone. Then, open the app and follow the instructions. Google Pay works on Android devices running KitKat 4.4 or higher. With Google Pay, you can pay with a few quick clicks in the Google Pay app and on the web. No need to enter your payment info. See https://pay.google.com/about/ for eligible devices and more information about how to use Google Pay.